This peaceful background features an evergreen with a bright star hanging overhead, tenderly evoking the spirit of the season with its nighttime palette. Playful azure waves subtly mirror the look of a snow drift. The lines curve toward a brilliant tree made of sparkling stars, which sits upon one of the lower arcs. Minor variations in the size and color of the stars add to the effect. 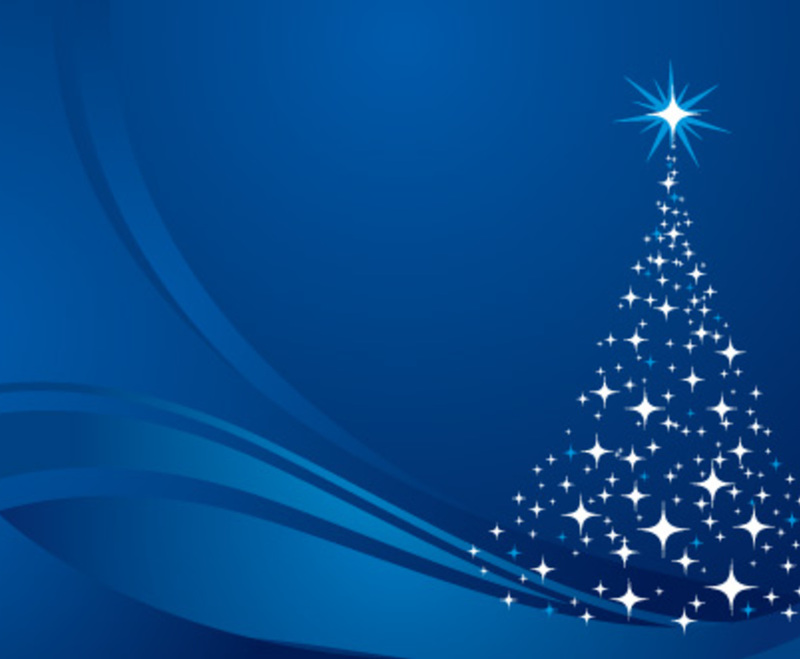 This is a versatile graphic, perfect for sending a Christmas message to website viewers. A deep field of blue sits to the left of the sparkling tree, providing plenty of space for text or any additional elements.